Let yourself be enchanted and "Sleep finally good again". Get the magic of the wonderful South Tyrolean mountains with our Swiss Pine Pillows home. Our cushions are made of 100% cotton and filled with pure Swiss Pine wood chips. 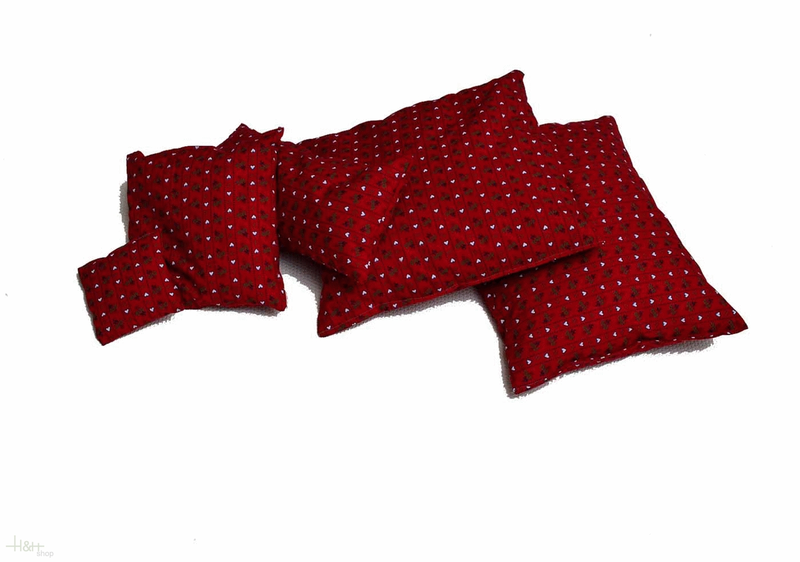 Place the Swiss Pine Pillow just in beside your sleeping position or directly onto the sleeping pillow. You will be delighted by the scent of pine. You benefit the high content of Swiss Pine in our pillows shown to be responsible for the calming effect. Each of our Swiss Pine cushion is lovingly sewn, filled and packaged by hand to preserve the naturalness of the product start to finish in the best possible ways. We recommend replacing or refilling the Swiss Pine cushion after about one-half to three quarters of a year. If you would like to have the scent more intense, we can recommend our Swiss Pine Oil. This can also be used as a room fragrance in a fragrance lamp. A few drops of our 100% pure natural essential oil are enough to revive the full power of the Swiss Pine even after a long time again. We ourselves do basically not raise the intensification because we appreciate and love the Swiss Pine in its modesty and earthiness. It affects us as it determines the nature for us. The best care for your Swiss Pine Pillow: Nature. Place your pillow regularly to fresh, humid air (eg when it rains). The pine can absorbs moisture that it needs. It dispense the absorbed moisture together with its essential Swiss Pine Oil again during drying. Through this care tip your Swiss Pine pillow keeps the pleasant smell much longer. But always keep in mind that our senses and nose quickly "get used" to smells and fragrances are no longer perceived so intense after some time. Do not be fooled, the effect of the Swiss Pine is not dependent on the strength and intensity of the scent, but the wood itself. Swiss Pine Pillow 10×10 Swiss Pine Pillow 10×10 effects that your wardrobe remains moth-free and at the same time smells deliciously of forests. The wood of the Swiss Pine has an antibacterial effect and is therefore ideal for use against moths. The antibacterial effect of the Swiss Pine was scientifically proven by the "Institute for non-invasive diagnostics - Joanneum Research" at the University of Graz. The results show that Swiss Pine in comparison to other tested wood prevents larval development significantly stronger. It can be enhanced with a few drops of Swiss Pine Oil and refreshed regularly, so the effect of the Swiss Pine Pillow persists even longer. In this way moths remain permanently away your wardrobe and your clothes are always wrapped in fresh scent that invigorates your senses and just feels good. Shampoo 50 ml. - Trehs - Pinus Sarentensis 4,55 EUR / 9,10 €/100 ml. Sports Cream 100 ml. - Trehs - Pinus Sarentensis 28,65 EUR / 28,65 €/100 ml. Footgel 100 ml. - Trehs - Pinus Sarentensis 26,70 EUR / 26,70 €/100 ml.